Do you have what it takes to be the Next Big Writer? 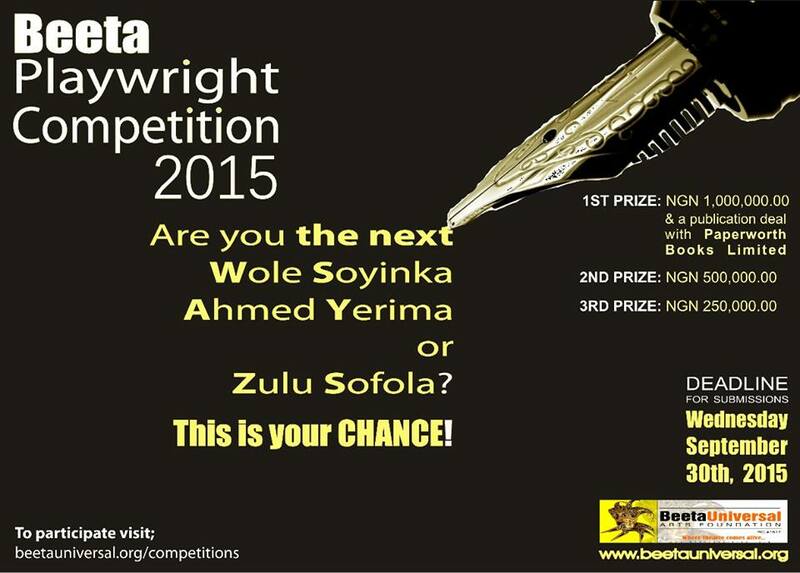 Enter the Beeta Playwright Competition 2015 for a Chance to Win Amazing Prices! The hunt for the next Wole Soyinka, Ahmed Yerima or Zulu Sofola is on NOW! Do you have what it takes? This is your chance! All entries will be treated with strictest confidentiality. For more information and participation visit www.beetauniversal.org/competitions. Entry Closes on September 30th, 2015.